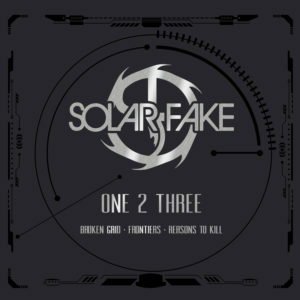 On Dec 14th 2018 the re-release of the first 3 Solar Fake albums “Broken Grid”, “Frontiers” and “Reasons to kill” will be released under the name “One 2 Three” in a classy 3-CD-Digipack. There are 2 bonus live tracks in each CD. The digital versions of the original CDs remain available.